Our father was in the business thirty years prior, and [he] was a part owner in another company, so basically we got all our experience through him. We provide our clients with a complete turnkey package from start to finish. We have a landscape crew, carpentry crew, electricians, and gas-fitters. So we go right through the process, right to the landscaping at the end of the project. We have a real advantage in that we have a number of projects on the go, and at any one time, we can have six Soldas on six different sites, with essentially six specialties â because the way we work is everyone has a bit of a specialty. There was a large water feature to the rear of this pool. And at the same time the house builder built a huge great room, outdoor great room, next to this pool. 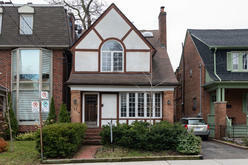 And it was done simultaneously with the house construction, so it integrated very well with the project. Another one of Solda's favourite projects involved an "outdoor entertainment area" that he describes as "about a thousand square feet, and like a small house" accompanied with a "a 24 by 48 custom concrete pool, with spa, and waterfalls, and, you know, 2,000 square feet of flagstone." A lot of clients, basically, they want a relationship. They want good work, and they want to know that what's being done is done properly. And... once there's a bit of a trust there, they tend to come back. 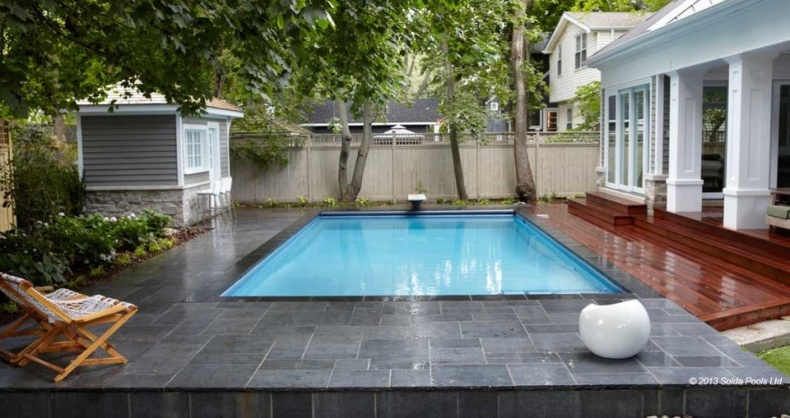 Every five, six years this particular client tends to move homes, and on every home they rebuild and put in a pool, and used us on every project. The expectations of clients over the years seem to continuously be upgraded. Client's expectations tend to be higher now, and the expectation is [for] more. So you have to be prepared to deliver that. Generally speaking, our reputation is of doing the biggest and the best pools,"
says part-owner and project manager Marc Luff. We'll do whatever you want. 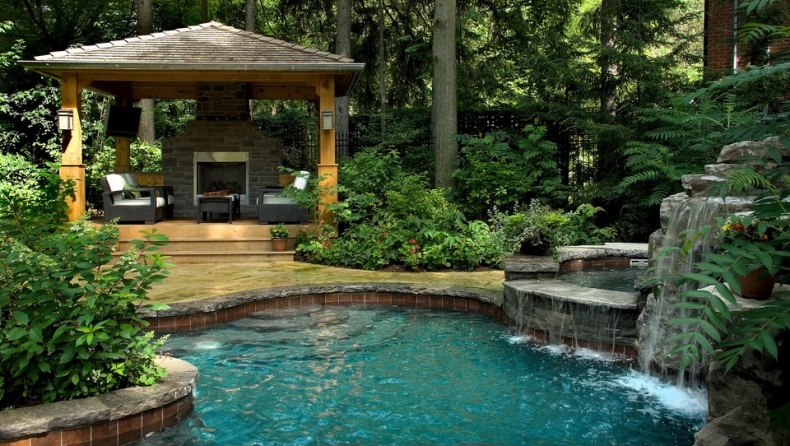 If you just want us to service your pool, if you want us to build a pool, if you want us to do your landscaping... we're a one-stop backyard solution. 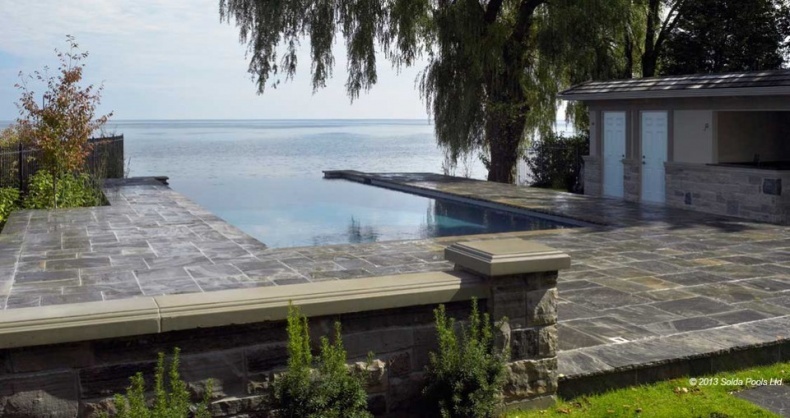 In fact, by now, Betz's proficiency at landscaping has made them a respected source of front yard solutions as well, even garnering several recent awards from the horticultural trades association Landscape Ontario. We actually won more Landscape Ontario awards than any other company this year, including landscape companies. We've been as far west as Winnipeg, as far east as PEI and New Brunswick, and as far south as St. Kitts in the Caribbean. This year, we were in Hamilton. We were in Muskoka. We were in Picton. There's even a site in Bermuda boasting an extremely unusual example of Betz' craft, a freshwater reservoir that doubles as a giant pool. We were in there ripping out all the rebar and all the plumbing and re-digging the hole. 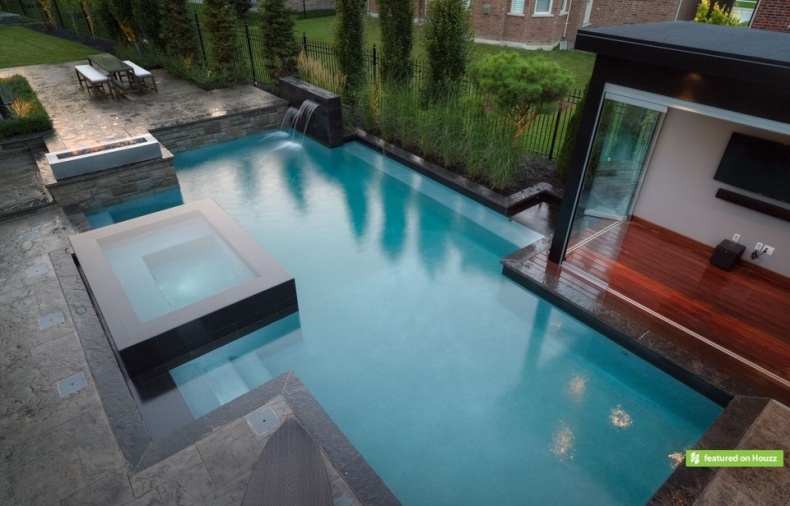 The project, which included not only the pool, but also the entire back and front yards, was a great success, winning a Landscape Ontario award in the $500,000 and 1,000,000 category. We're lucky enough to be invited into these people's homes to begin with. You're not going to win these awards if you don't get the impressive work. You have to have a client who's willing to spend the money to put beautiful plants in, and light it up at night, and go with a quality pool, and spend that little extra on the cabana to really make it a show-piece... And Betz Pools is lucky enough that â not only are we recognized as being the best pool-builder, but now we're recognized as being one of the best landscapers â that we get the phone call. It boils down to we got the opportunity to build a project like this. The Gib-San pool and spa centre was a quiet, almost empty little place when I visited near the beginning of May. Located at 711 Kipling Avenue in Etobicoke, this modest little store with its foam pool noodles and chlorine-scented atmosphere gave no over indication that it was in fact merely one small arm of one of the GTA's grandest pool builders. 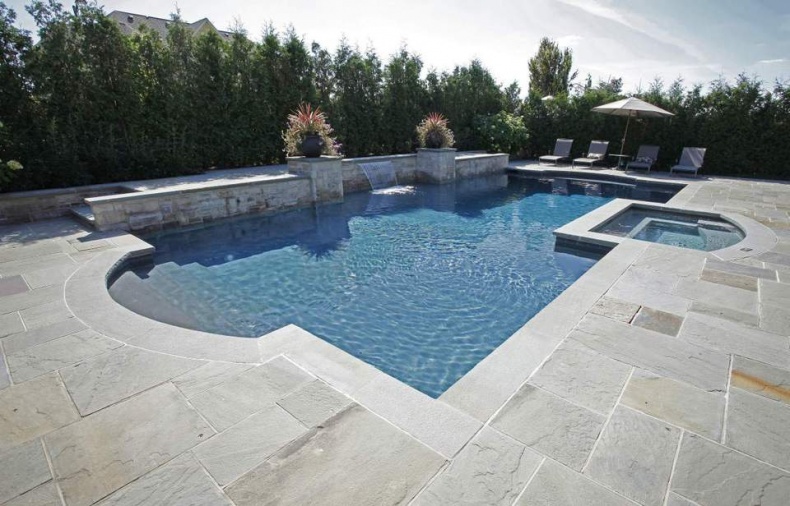 Founded in 1972 by Robert Sanelli and Ed Gibbs (Sr.), Gib-San Pools started out as a pool builder only, but "as time moved on, we transformed the company into a builder/service/renovation/retail company." That's according to the currant CEO Edward Gibbs, son of the now-deceased founder, in an interview with Pool and Spa Marketing magazine, and I have to take his word for it, because getting to speak to anyone at the company aside from a weary receptionist proved impossible. As their website boasts, Gib-San Pools is now not only a builder of vast and lauded watery paradises, but also a provider of pool maintenance, landscaping, backyard leisure structures, water-features, and outdoor kitchens, and is ready and able to work (if not to chat) in every season. They are also â by their own account â possessed of the logistical and management acumen necessary to produce spectacular long-range creations. Indeed, such far-from-home projects are one of the company's specialities, completed either as a solid package encompassing all necessary services from design on to landscaping, or with Gib-San operating as a project management and design consultant for the contractors of the client's choosing. 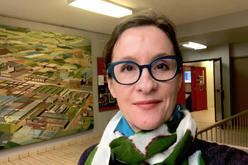 Gib-San's award-winning creations can be found not only in places such as Oakville, Richmond Hill, and Muskoka, but also in the Maritimes, in France, and in the United Arab Emirates. 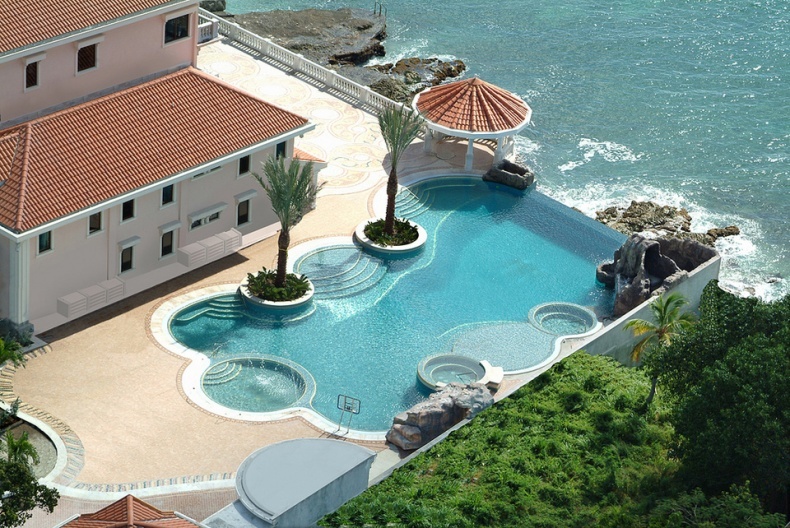 One project on the island of St. Maarten (winner of both the 2007 Master Pools Guild Award of Excellence and Pools & Spa Marketing magazine's Art of Water Special Design Award) was an enormous residential pool of 5,000 square feet, equipped with water jets, underwater speakers, two spas, a grotto, and a slide. Three gold awards from the National Spa & Pool Institute went to the pool and spa complex of the Marriott Beach Resort and Casino, on the Caribbean island of St. Kitts, while Abu Dhabi's Landmark Tower boasts "the highest pool in the world" installed by Gib-San on the 67th floor. The logistics and scope of this international project [in St. Kitts] allowed us to be leading-edge in every way. Shipping equipment, material, products, and of course our greatest asset, our personnel, thousands of miles away provided a depth and experience for our company only very few can say they have. It is much easier to find out about Gib-San's giant, glamorous foreign projects than it is to find out what they're doing back in Toronto. During my visit to the Etobicoke hot tub centre, I was told that privacy concerns prevent them from publicizing their residential projects. You can, however, find a Gib-San pool in the Festival Tower condominiums on top of the TIFF Bell Lightbox, at the Toronto Cricket Club, and in the Ed Mirvish Building at 1 King Street West. 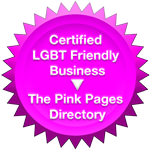 The Guild has several qualifications that are considered when a company is recommended. 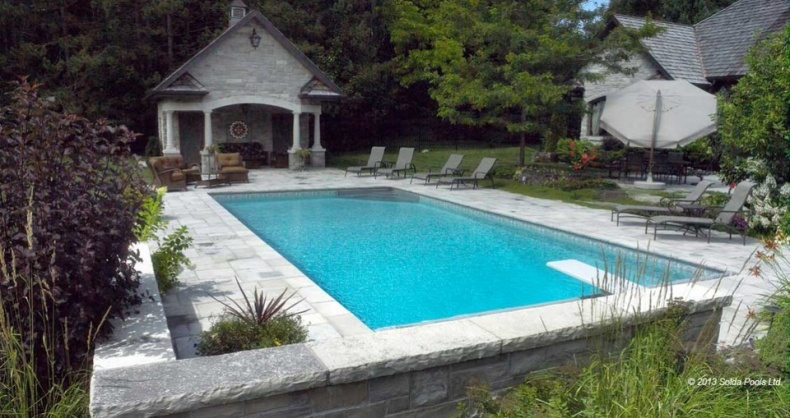 The first is to determine if they are one of the best pool builders in their market. When we look at that requirement we are not looking for the biggest but the company that builds a great pool and has a broad satisfied customer base. Each applicant must submit customer names to me and I then contact them to see what they say about the builder. We check on the prospects history with supplies and merchants in the community... Gib-San was invited to join because they were the best company in Toronto that fit the purpose for which the Guild was founded. 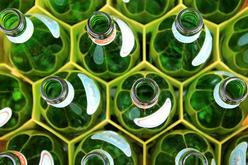 There is no doubt our commitment to ISO has led to international business. International general contractors have a greater feeling of confidence when engaging in our services knowing we operate to ISO standards. When I tell a customer that I build the best pool in town, I now have a third party validating what I say. Amazing work!!! Your designs’ are so cute!